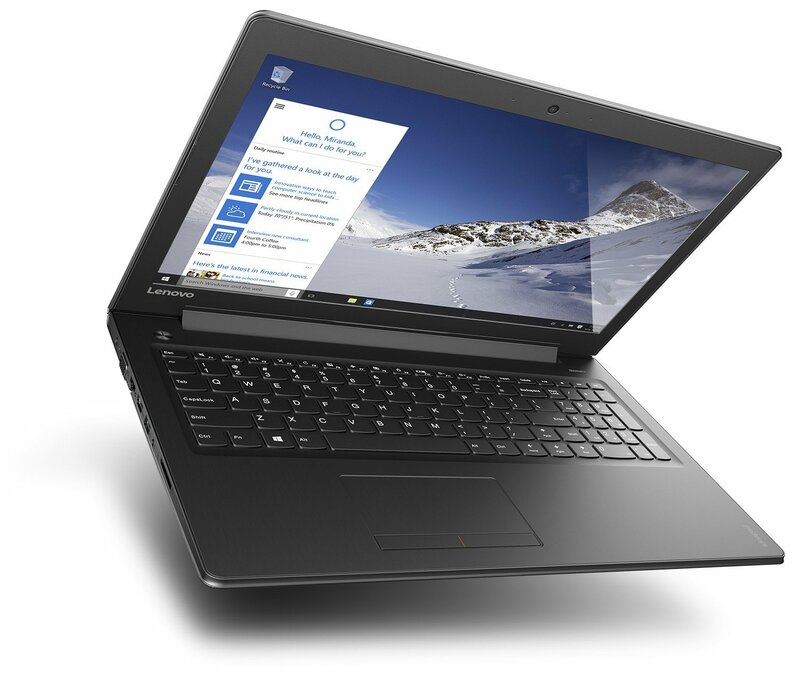 Lenovo Ideapad 310 80SM00JSUS is a decent laptop but not perfectly on par with the current market standards. However, if you are looking for a laptop an Intel Core i7 processor (U series) along with an SSD drive and a decent amount of RAM, then this is a great laptop to have. Lenovo chose to go with a all black color scheme for this model. The outside feature a miniature dappled dot design to switch it up a bit. Overall this monotone 15.6 inch has a pretty plain design. It is super thin though and weighs in at an appropriately light 4.84 pounds. All the ports and drives are on the sides like most models. Not for the style but most people buy laptops for the interior. Lenovo took that to heart. 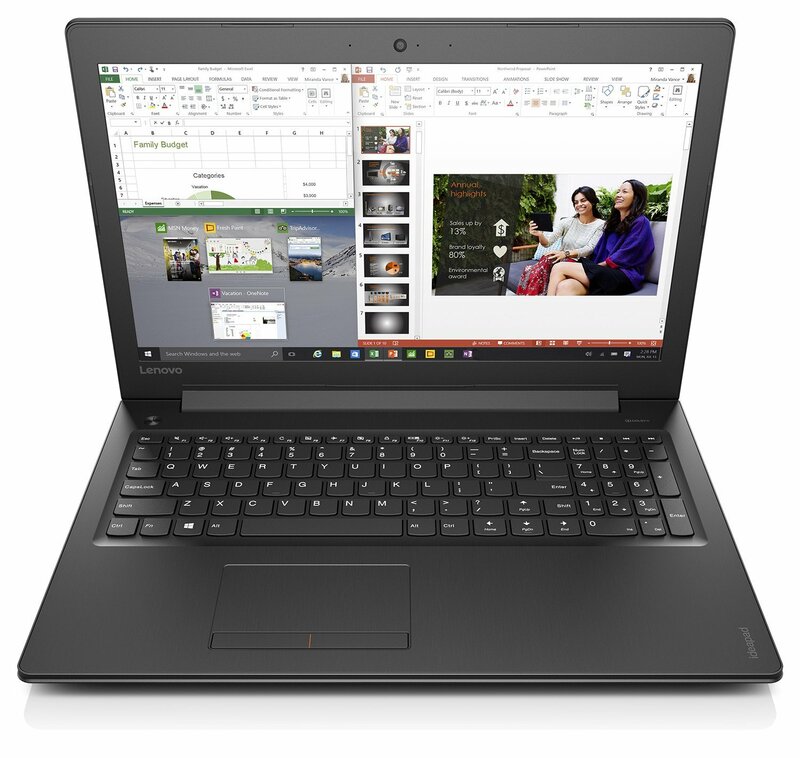 The hardware for Lenovo Ideapad 310 80SM00JSUS is only for professional office work. In terms of programming and development work, you should be carry those at moderate level so long as you are not working with graphics. Here we have an Intel i7 6500U processor. A 6th generation model with considerable power. 2.5 ghz makes for a nice mid range speed with possible boosting up to 3.1 ghz. The U series is great for an efficient low energy model which is great for the battery life. The processor has 2 cores and 4 threads so multitasking is not its best aspect but you won’t be lagging behind for basic applications. A pretty good speed for some mid range gaming but unfortunately, this laptop does not have a good enough graphics card to go along. Don’t get confused this machine is only made for casual gaming or graphics design. I want to stress casual because the graphics card is an integrated Intel HD 520 which won’t be breaking any power records. For something like League of Legends you should get really good frame speeds. You should expect some slow down if slaying in a game like Witcher 3 is your forte. Lenovo stresses this models streaming capabilities but that will depend on the game because higher end games with the added streaming tax will probably leave you extremely frustrated with your purchase. This model should have 12 GB of DDR4 RAM though so if you get anything different you should talk to Lenovo. There are a few variations for this model make sure you figure out whether you are getting the 8 gig with DDR4 or the 12 gig with DDR3 RAM either way you are forgoing a superior model for more RAM or vice versa. With that said, the difference is not too large but 12 gigs will give you better performance if you are into video editing. 8 gigs is surely fast enough and should complement the rest of the hardware quite well. Thanks to the limitations of the graphics card, an upgrade won’t do too much for you. The DDR4 runs at a lower voltage for faster speed so most people will be good either way. I feel one of the major selling points for this model is the 256 gigabyte solid state drive. This drive gives up capacity for a much faster overall speed for your computation. In comparison to a mechanical hard drive the speed is like a high school cross country runner against an olympic runner. Along with the other components the drive makes this model incredibly energy efficient. You should get better battery life than the majority of other laptop models. 256 gigs is a decent amount of space to have and you should be able to store most of your programs and files since the overall limitations on the hardware should also limit the size of the programs you run to a point. Lenovo went with the pretty standard 15.6 inch screen with full HD capabilities. Nobody will ever say the screen stands out but it delivers what you would expect. The maximum resolution is only 1366 x 768 but the detail is still pretty nice for what it is. This is not the laptop that I would recommend for people who have a primary requirement for a great screen. Lenovo brought their briefcase for this laptop. We have three USB ports one 3.0 and two 2.0’s which is kind of poor for the price point. There is an HDMI and VGA point for connecting your extra monitors or tv screen. A RJ45 port for high speed lan connectivity along with a 802.11 a/c wireless card for your Wi-Fi. We have a decent camera for middle of the road resolution web camming. Running Windows 10 home edition their’s thankfully not too much bloatware installed. There is a decent Dolby digital stereo system that doesn’t sound quite like the name would suggest. A media card reader and a DVD/CDRW re writable optical drive round out the list of this models features. I’m not quite sure what Lenovo was thinking with this model when you look at the price, though I guess people are buying it so I’m not sure how mad to get. Actually I know, pretty mad makes the most sense at about above seven hundred bucks you would expect a laptop to do something really well but this one is pretty average. You could say you are paying for the extra 4 gigs of RAM or the i7 processor and the SSD hard drive but none of these thing are big enough to make the entire picture worth it. It wouldn’t be hard to find a computer a step more powerful than this one for a hundred or even two hundred dollars less. Anyone with a bit of computer savvy would be able to find a cheaper model and upgrade it to a much more powerful model spending the same amount of money. Some examples of great values laptops include ASUS F556UA-EB71, and Acer Aspire VX VX5-591G-75RM. As you probably guessed from the last section the answer is not great. Lenovo in this model chose to play a game many people aren’t a big fan of. The game of flashy numbers. The i7 and the 12 gigs of RAM might make people think they’re getting a nice upgrade over a 500 dollar range competitor, and that’s criminal considering anyone with decent know how can pick up and install 12 gigs of RAM pretty easily. One good thing though is the model is extremely energy efficient. Overall though this laptop is a decent low mid tier unit. Those who are developers and work especially with video editing would appreciate the overall specs of this laptop.